African Environments has been the first choice of some of the world’s largest and most respected adventure travel companies for three decades. We have hosted princes, celebrities, athletes, the young and the not-so-young, families, newlyweds, and even weddings on top of Kilimanjaro. Seasoned adventurers and first-time hikers have all been led successfully up Africa’s tallest peak, or out into the wilds of the Tanzanian bush. Few companies with African Environment’s experience and knowledge of the outdoors are based on the ground in Tanzania, or have as much infrastructure. Our Head Office, logistical compound, and Directors are all based in Arusha. We own all the vehicles in our fleet, and have a fully functioning workshop to support them. Over the 30 years of operating in Tanzania African Environments has built long-standing relationships with like-minded hotels and lodges. We personally call our partners and make requests on behalf of our clients. 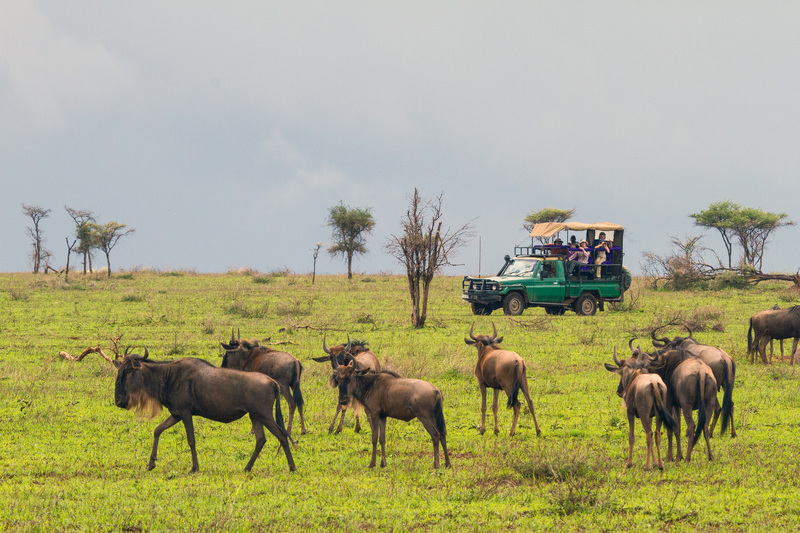 Knowing the owners, managers, and even staff by name makes for creating truly unique safari experiences. Our local knowledge of the wildlife and environment within the National Parks and Conservation Areas is continually updated and always current. Being on the ground with old friends in all corners of the country makes it easy for us to pinpoint the migration, knowroad condition of the roads in Ndutu after the rains, or even where the infamous family of cheetahs are moving on the Seronera Plains. Our Directors have worked with the National Parks on the management plans of protected areas, and sat on the boards of tourism bodies,helping to shape the Northern Tanzanian tourism industry. As our name suggests, African Environments have always had the environment top of mind. This shapes the way we plan our itineraries, train our staff, and work with communities. We provide low-impact ethical tourism but do not budge on quality, comfort or style. We excel at ‘off the beaten track’ adventures, authentic cultural activities, eco-friendly private camps. This, coupled with all with all the ‘extras’ makes for the perfect African safari. We offer and promote carbon offsetting through Carbon Tanzania, an internationally recognised, community-driven forest preservation project. All our Driver Guides, Leaders and Field Staff have been trained in the principals of Leave No Trace. We run 100% solar-powered camps and expeditions. African Environments has been certified by Responsible Tourism Tanzania, and is proud to partner with this organization, ensuring industry standards are continually improved. Our purchasing policies promote local businesses, tradespeople, producers and artists.We buy local wherever possible, to reduce transport carbon emissions. We recycle and re-use all and as many waste items wherever possible. We supply local, 100% safe drinking water wherever possible, to limit the use of plastic. We undertake clean up expeditions of Kilimanjaro to ensure that not only our own trash, but that left by other less environmentally conscious companies is exited from the mountain environments. “Wes, I just wanted to tell you how pleased our group of “17” were with the safari you put together for us! I always love heading out to the bush, but what made it even more awesome for me was witnessing the excitement, joy, and sheer disbelief in the faces of those who have never experienced animals in their own natural habitat.